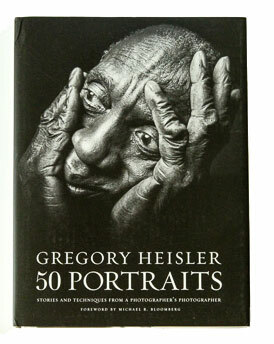 Heisler is arguably the greatest living portrait photographer. And as if that weren’t accomplishment enough, he has now written what may be the best book on photography that I’ve ever read. It’s a perfect blend of left-brain and right-brain, art and technique. But the great value resides not primarily in the portraits (although they are amazing and an education in themselves), but in Heisler’s thoughtful analysis of each one. I’ve never read a photographer better able to recall and capture the intimate details of thought that went into creating a shot. From his first conception, to the fumbling, sometimes aborted experiments, to the final epiphany that solved the puzzle, Heisler lays his process bare to us. And he somehow manages to provide just enough technical detail to satisfy our inner mechanic without becoming a boring tech-head. 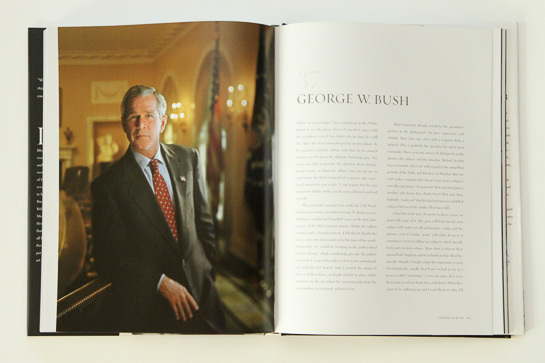 I actually think Heisler’s text in this book is as much a work of art as the portraits, and that’s saying a lot. I originally intended to savor this book over a long time, reading one chapter each day. But that’s like trying to eat one potato chip. Every photographer I know will be getting a copy of this from me for Christmas. And of course, if you buy from my Amazon links you buy me a beer! I was just about to type in the very same comment as posted by Sylvia Gardner-Wittgenstein … I don’t understand why the publishers do it either ??? It ruins the image … surely the photographer has a say in the layout ? This looks to be a fabulous book to own – a great Christmas wish idea. I use Lightroom and thanks to your excellent tutorial, am very happy with the difference it has made to processing my images. On top of my Christmas list! How would you lay out a/an horizontal photo vertically? like the photo shown…of Julia Roberts. Thanks for telling myself and others about book. This is an outstanding recomendation. I thought Yousef Karsh was the premier portrait photographer. Just changed my mind and I do owe you a beer for I just placed my order with Amazon!! Can’t wait to read this book. Seeing the portraits will be an added bonus. Thanks for the recommendation. 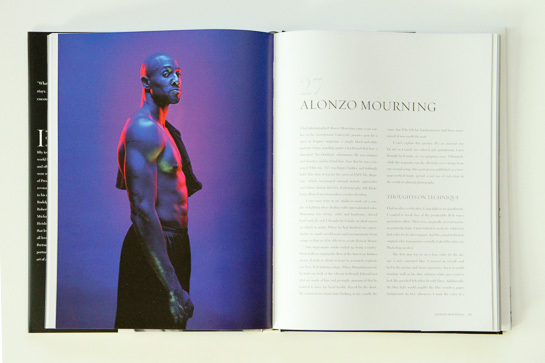 Many thanks Phil – awesome portrait book, especially from a photographers perspective with tons of insights about shot setup, lighting, settings and psychology of the photo. BTW, the Kindle version did not spoil the photo of Julia Roberts (no creases). I trust Phills’ recommendation and believe that it holds much more value in it than what it costs to have it in your hands. I’m looking to buy it as a present for myself first! Fabulous book, only got it yesterday, opened it today to start reading it and I can’t put it down, what an artist, breath taking images. Many thanks for recommending it, early Christmas present to myself, but will definitely have finished by then! I am thoroughly enjoying the book, it is just wonderful. Great imagery( a Visual candy!) and insight into the thinking process of a brilliant photographer. Phil thank you for the recommendation .